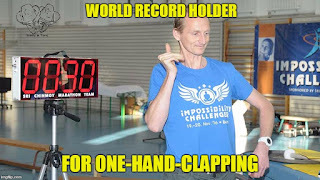 This guy did 427 one-hand-claps in a minute to shatter the World Record! The lesson here is BELIEVE IN YOURSELF! 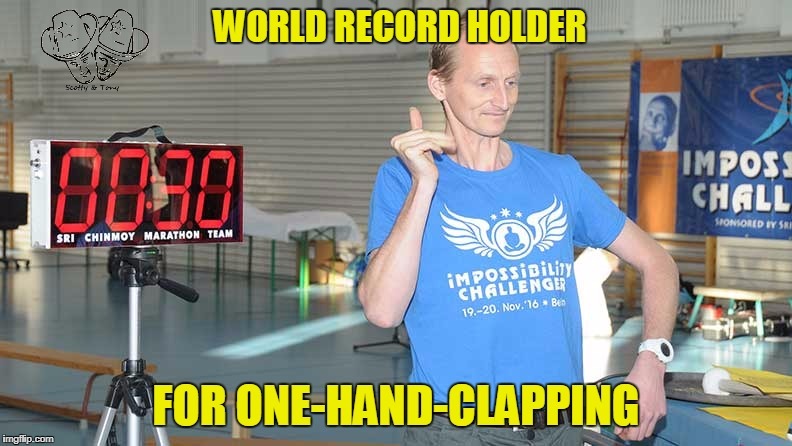 The lesson here is CLAP LIKE NO ONE IS WATCHING! The lesson here is STAY FOCUSED, DAMMIT! The lesson here is BY THE TIME YOU'VE DECIDED WHAT YOU WANT IN YOUR FRAPPUCCINO, THIS GUY HAS CLAPPED ABOUT A THOUSAND TIMES.